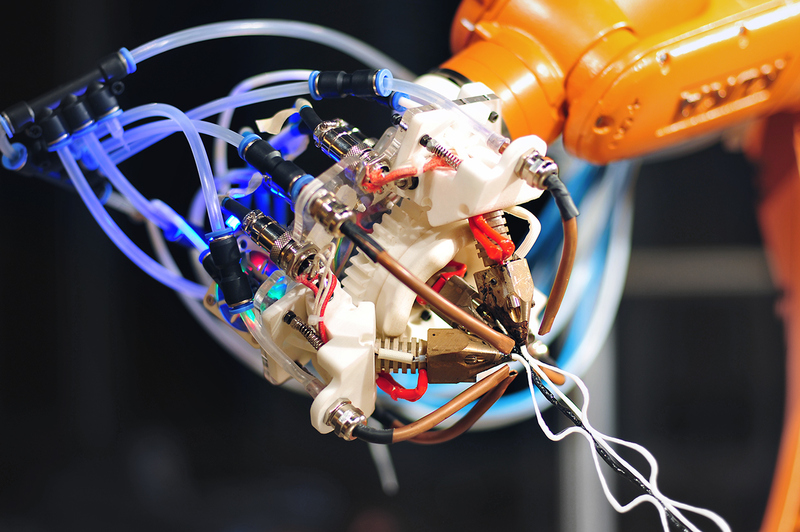 Most industrial robots run on proprietary systems, but this experimental KUKA arm uses an Arduino MEGA to 3D print in 6 axes, mimicking the shapes found in nature. Despite the size of this KUKA arm with a custom toolhead attachment — a 3D printer extruder — carefully looking at the machine layout, you’ll see much of its temperature and extruder control is handled by an Arduino MEGA. The Arduino MEGA is a favorite of the RepRap community — the birthplace of desktop 3D printing. 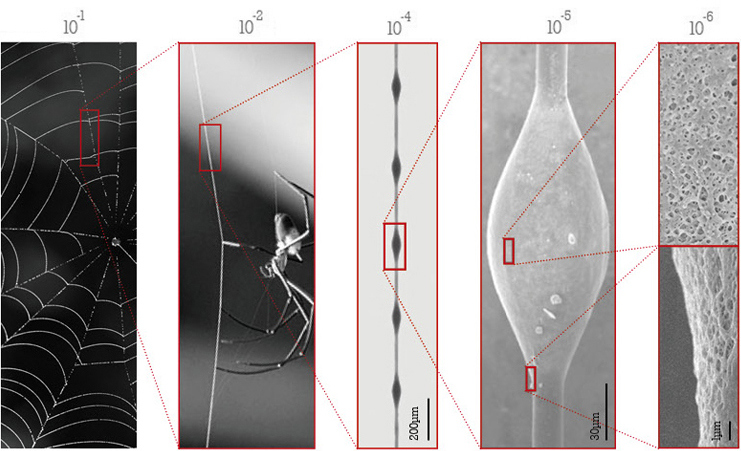 By mimicking the micro-structure of spider silk thread, a specific fabrication strategy has been added into this process. This change makes it possible to print simple self-supporting forms and is capable to show how the form grow from the ground. In this way, the material develops its full potential to expanded the materiality through the biomimetic printing progress. While not everyone has access to a KUKA arm most have access to an Arduino. 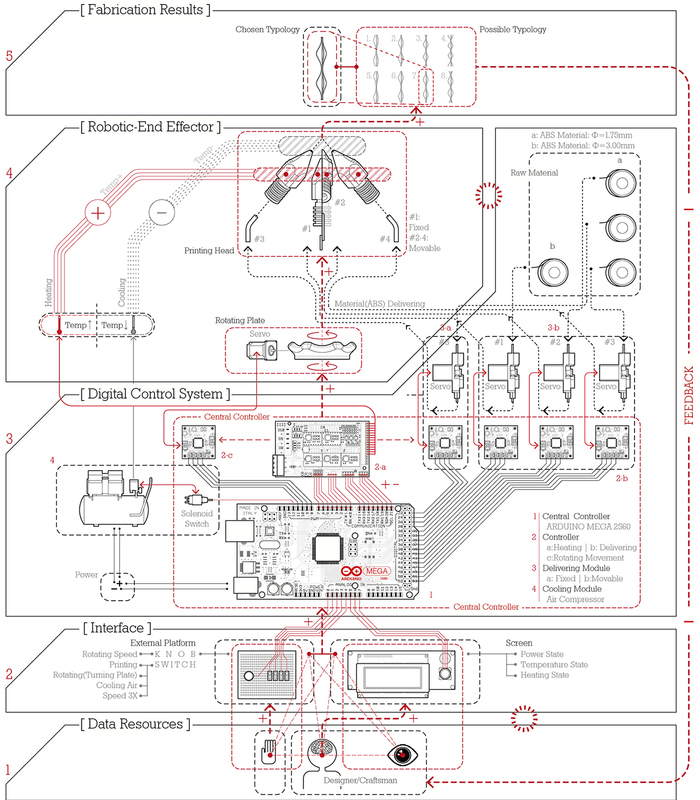 The programming of the robotic-end effectors is based on Arduino. Each printing head has a heater inside which is uniquely programmed and can precisely maintain the temperature in appropriate range. Also there are tubes sending compressed air to the front of printing head to cool and finalize the material. Four material(ABS) deliver system driven by 4 individual servos works like normal 3D printing devices. Besides, one motor is responsible for the rotating motion of the central turn-plate. Both the speed of delivering and rotating can be changed via the switches on the center stack. In this case, the shape of the structure can be adjusted following the designer’s idea. KUKA arms with custom tool attachments are commonly used in Universities and R&D Labs — tool heads are carefully swapped out depending on the desired outcome.